Knowing where your time — and that of any employees you have — goes every day not only helps when it comes time to bill customers or clients, but it also provides a way to find areas of improvement. Today’s technology has provided time tracking services that allow you to track your time while on your desktop or mobile device so you always know what you did every minute of every day. 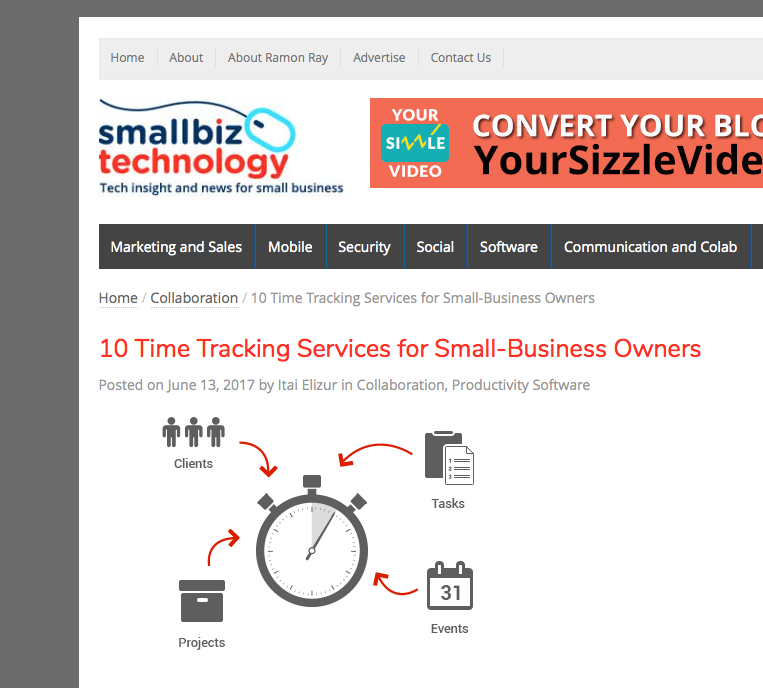 Due was listed as one of the top 10 time tracking services by Small Biz Technology and was noted for having a free, easy-to-use timer that pops out so you can continue browsing on other sites and working on various tasks. The software is part of an overall platform that offers an intuitive dashboard and professionally designed invoice templates as well as integration with third party sites like PayPal, QuickBooks, and Basecamp. Other time tracking services include Toggle, Harvest, Timely, Paymo, TimeCamp and others. To read the original article, please click here. Everyone can improve how they use their time. Check out these 10 tips for effective time management.